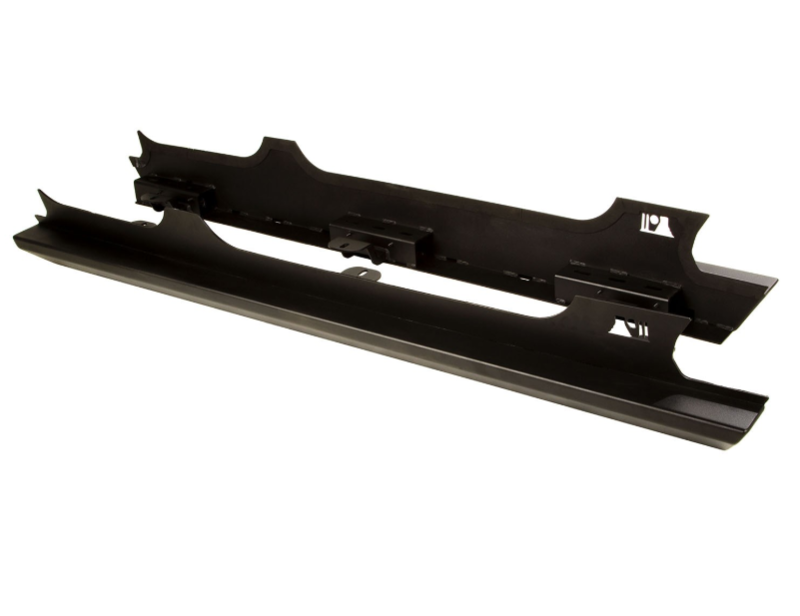 Preserve your pristine rocker panels and defend them from the harshest off-road assaults. Rugged Ridge XHD Rock Sliders protect the vulnerable rocker panel and lower body pinch seam with an innovative one-piece design that’s as tough as they come. Thick 3mm steel plate is CNC cut and precision-welded to give XHD Rock Sliders a sturdy boxed rail section that serves as a convenient step, while it contends with boulders, bumps and blows. A tough satin black powder coat finish gives these Rock Sliders superior rust & corrosion resistance and they’ll work with all stock and most aftermarket fender flares. Features a soft foam backing to help protect the vehicles paint and install easily with no drilling required.